Here at ROF, we take pride in our commitment to quality. 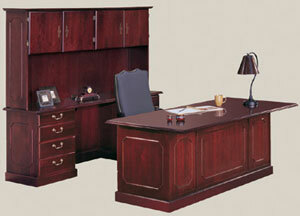 That’s why we offer new executive desks from only the most reputable furniture manufacturers. As with all the furniture we offer, all of the new executive desks we sell are made of the best materials, and the expert craftsmanship that goes into them ensures that they are long-lasting. When you buy new executive desks from ROF, you can rest assured that you’re getting top-quality desks along with our dedication to customer satisfaction. Color: Surfaces: Basic White, Basic Grey, Maple, Cherry, Walnut. Frames: Basic White.